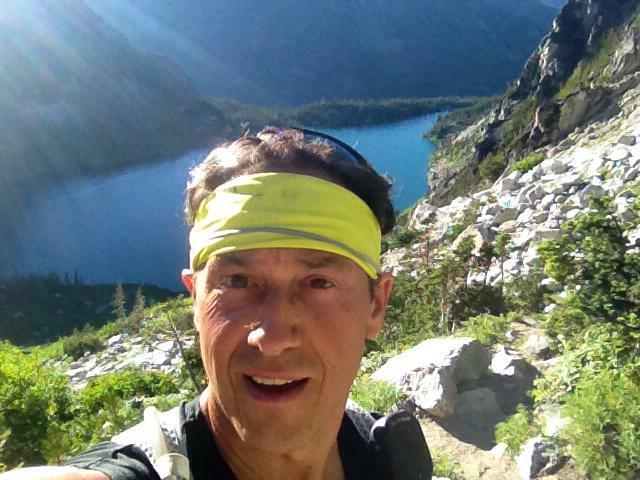 Scott Volyn, in a self-portrait, while on a training run in July above Lake Colchuck in the Washington Cascades. 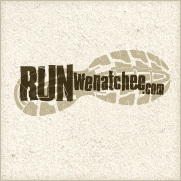 The Wenatchee runner is taking aim at his third ultramarathon this year — the Fat Dog 100 in British Columbia — on August 16-17. When Scott Volyn finds himself dozens of miles into his latest ultramarathon, the only sound his pounding footsteps, his thoughts often drift to those he is helping thousands of miles away. Since 2011, the Wenatchee runner has raised money through the events so women and children in Burundi — victims of genocide in that war-torn African country — can have a home. The end result at the Lumberjack 100 ultra in April at Port Gamble wasn't what Scott Volyn envisioned. 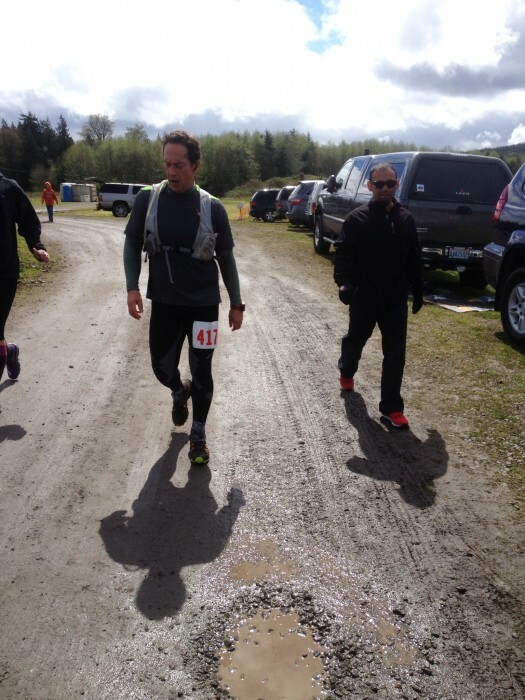 Five weeks later, he rebounded at the Pigtails 100-Miler near Renton. If the hype over Fat Dog 100 is any indication, the people of Burundi will be on Volyn’s mind a lot the middle of this month. The race — despite the name, it’s actually 120 miles in length — was named one of the Nine Toughest Ultras in the World by Outside Magazine last month. The point-to-point course begins in Cathedral Provincial Park, north of Vancouver, then climbs 28,453 feet through Skagit Valley and Manning Provincial Parks. That is the equivalent of running from sea level to the summit of Mount Everest. Volyn has been preparing for Fat Dog by training day and night in the hills and mountains above the Wenatchee Valley. 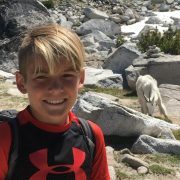 His Facebook page is replete with shots from Colchuck Lake and Burch Mountain — some at the break of dawn, which means he is running in the wee and dark hours with a headlamp. Volyn first came up with the idea of helping widows and children in Burundi a couple years ago while contemplating his passion for charity work along with how much time he puts into running. “I wondered if there was something I could do with that,” he says. He knew of Burundi through his church in Wenatchee, which was doing mission work there. He reached out to the Sister Connection, a Christian nonprofit organization that connects sponsors around the world with Burundian widows, and soon had created his own nonprofit (and nonsecular organization), Running to Burundi. In 2011, he did 10 marathons and ultramarathons and raised about $12,000 — enough to build 20 homes in Burundi. He decided to take the following year off, in part to ponder what he should do next. During that period, he met Claver Hategekimana, coordinator of Wenatchee Valley College’s Teaching and Learning Center, who had invented a solar-powered light and set up his own charity, Light 4 Village. After learning more about the device, Volyn knew what his next effort would entail: Not only building but lighting homes in Burundi. He set a fundraising goal of $19,500, with the money going to build 10 new homes and to light the 10 new ones and the 20 previously constructed. In Burundi, homes cost $600 to build and lighting costs $450 per home. For 2013, Volyn opted to focus on three ultramarathons — and the really long variety, at least 100 miles. His training picked up during the winter months and early spring. And then came the first challenge — the Lumberjack 100-Mile Run at Port Gamble on April 13. It would be his first attempt at completing 100 miles. “I felt mentally going in nothing could stop me,” Volyn recalls. 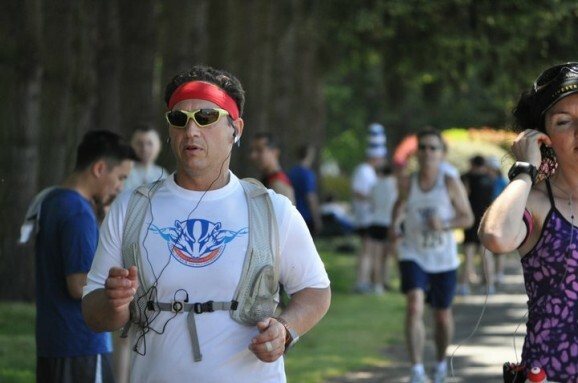 Looking strong: Scott Volyn on the way to completing the 50-mile-long Rainier to Ruston Ultramarathon in June 2011. But stop him, it did, in the form of pounding rain and temperatures that dropped into the 30s. Suffering from hypothermia, Volyn pulled out after 62.5 miles and 15 hours of hoofing it. In the end, only 11 of the 44 runners who started finished. “I was pretty disturbed at stopping. I kept thinking I’m not allowed to stop,” he says. Five weeks later, he faced a similar obstacle — although this time it had nothing to do with the cold. Taking part in the 100-mile Pigtails Challenge ultra near Renton on May 23, Volyn’s feet went to mush — literally — as huge blisters formed on the bottom of both feet at about the 75-mile mark. Not only did he finish his first 100-miler, but he came in 13th overall in a time of 24 hours and 15 minutes. All the while thinking of those in Burundi. Volyn and his wife, Alicia, are planning on visiting Burundi next year for the first time “just to see.” Running to Burundi’s board — made up of the Volyns and friends Stephanie Cosina and Jennifer Korfiatis — is talking of setting up a framework so other local athletes can follow in Scott’s footsteps. One idea is for the group to offer locals four or five events to choose from and then help them with their race schedule and fundraising. 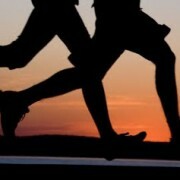 Editor’s note: Interested in helping Scott Volyn and Running to Burundi reach its 2013 fundraising goal? Here is a recent letter from Volyn. You also can visit the organization’s website for more: http://www.runningtoburundi.com/.